Following is an article about Secret Service Agent Clint Hill and coauthor Lisa McCubbin that appeared on the front page of The Ark newspaper June 1, 2016, Tiburon, California. Tiburon authors Clint Hill and Lisa McCubbin have already penned two best sellers. “Five Days in November” and “Mrs. Kennedy and Me” detail Hill’s experience as the Secret Service agent in charge of protecting first lady Jacqueline Kennedy before, during, and after President John F. Kennedy’s 1963 assassination while riding in a Dallas motorcade. Now the couple has a third hit on their hands. Their new book “Five Presidents” focuses a wide-angle lens on Hill’s 17-year Secret Service career, chronicling his experiences with presidents Dwight D. Eisenhower, John F. Kennedy, Lyndon B. Johnson, Richard Nixon and Gerald Ford. Released in early May, the book is currently No. 8 on the New York Times nonfiction bestseller list. Clint Hill and Lisa McCubbin reflect over a lifetime of media articles depicting Clint’s Secret Service years in the White House, most noticeably his memoirs of being attached to Kennedy’s limo entourage in Dallas, 1963. Photo by Elliot Karlan. McCubbin, the daughter of Belvedere’s Gay and Wyman Harris, is an award-winning journalist and former TV news anchor. She and Hill first met when McCubbin was working on “The Kennedy Detail: JFK’s Secret Service Agents Break Their Silence,” the 2010 book she coauthored with another former Secret Service agent, Gerald Blaine. “In many ways it seems like we were destined to be together,” McCubbin says of her relationship with Hill, which flourished after interviews for that book. At the time the couple first met, Hill was reclusive. “So many wonderful things have come from our meeting each other: Our books that give a priceless glimpse into history that would otherwise have been lost; the experiences and opportunities that have arisen as a result of the books. . . and perhaps most important of all, a new lease on life for Clint,” McCubbin says. Since the May 3 release of “Five Presidents,” Hill and McCubbin have been on a whirlwind book tour. They’ve visited 15 cities, drawn large crowds and been humbled by their audiences’ emotional responses to the book. One New York man gave Hill mementoes from the Honey Fitz, the presidential yacht used during the Kennedy, Johnson and Nixon administrations; a Naperville , Ill., couple gave him a drawing that their 9-year-old daughter had made of Sardar, the horse Ayub Khan gave Jacqueline Kennedy during her 1962 trip to Pakistan; and a St. Louis, Mo., woman gave Hill a drawing she’d made of President Kennedy. An event at the Henry Ford Museum in Dearborn, Mich., drew 700 people. (See link at end of article to view a clip of their presentation.) The museum houses four presidential vehicles including SS-100-X, the limousine the Kennedys were riding in when JFK was assented in Dallas in November 1963. It was eerie for Hill to see the car that he threw himself onto the back of to protect Mrs. Kennedy and her husband from additional gunfire. 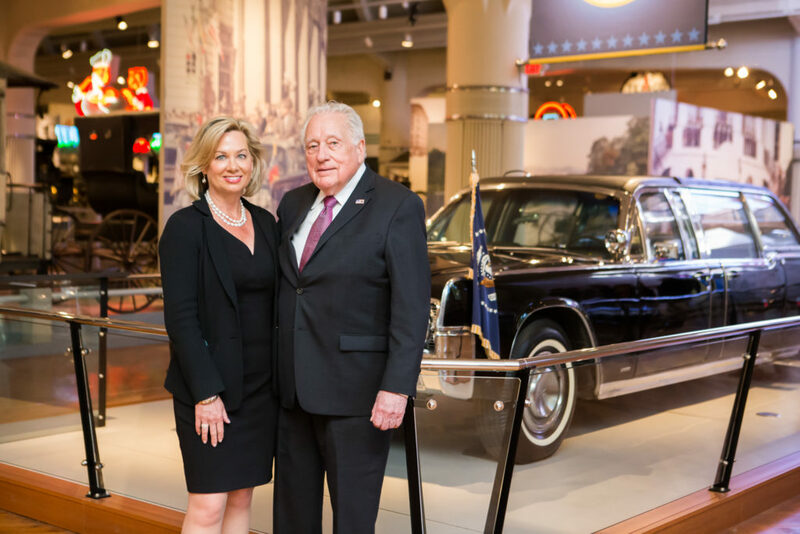 Authors Lisa McCubbin and Secret Service Agent Clint Hill in front of presidential vehicle SS-100-X at the Henry Ford Museum in Dearborn, MI. KMS Photography. “Five Presidents” begins with Hill’s early life. An orphan adopted and raised in North Dakota, Hill was a stand-out high school athlete, received a college scholarship and worked in U.S. Army counterintelligence before being inducted into the Secret Service in 1958 during Eisenhower’s second term. Hill’s first detail was to protect the president’s ailing mother-in-law in Denver. During his first month on the job, he smuggled a dead body out of her home. Six months later, Hill was reassigned to the White House, where he was soon protecting the president. The book is hard to put down. Hill tells his story against a backdrop of tumultuous social and political times, including the cold War; the assassinations of John F. Kennedy, Martin Luther King Jr. and Robert F. Kennedy; the Civil Rights Movement; Vietnam; and Watergate. Through it all, Hill is there as presidents negotiate with foreign leaders and domestic lawmakers, seek the counsel of trusted advisers and agonize over difficult policy decisions. Secret Service agent Clint Hill and coauthor Lisa McCubbin speaking at Henry Ford Museum to sold-out crowd of 700 people. KMS Photography. IN addition to chronicling each president’s leadership, the book provides countless intimate glances into the presidents’ more private moments, something that lends humanity and dimension to characters that often seem larger than life. The book also features never-before-published photos that show teeming crowds and surprisingly little Secret Service protection. “People are shocked to see photos of the president riding in open cars through the streets of Kabul, Afghanistan; Karachi, Pakistan; and Tehran, Iran, as Eisenhower did in 1959,” McCubbin says. Though “Five Presidents” focuses on the presidents Hill served, one of the most affecting takeaways is the personal sacrifice required of Secret Service agents. Hill loved his job but worked impossible hours, endured grave stress and spent almost all holidays with the presidents he served. Hill notes at one point in the book that Christmas 1967 was the first he’d spent at home with his wife and boys, then 6 and 11, since 1958. It wasn’t until after retiring from the Secret Service in 1975 that Hill began to understand that he had long suffered from post-traumatic stress disorder. 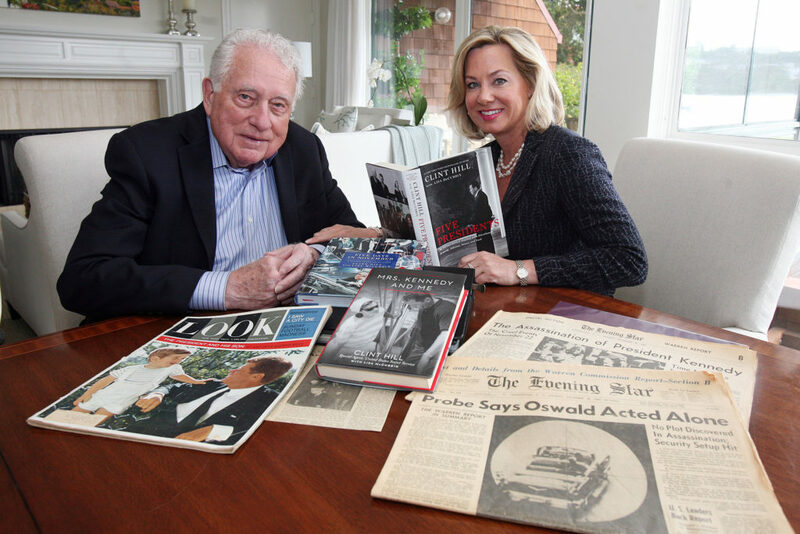 Clint Hill and Lisa McCubbin are in demand as keynote speakers for all kinds of events. Hill’s extraordinary story is motivational and inspirational– a once-in-a-lifetime opportunity for audiences to meet one of America’s true heroes. For information on how to have Clint Hill and Lisa McCubbin speak at your event, contact Premiere Speakers Bureau. For a montage of some humorous clips from their presentation Click Here.